About a month ago I wrote a post, “The Oklahoma City Thunder (Again)” as a follow up to Bryan’s post, “The Oklahoma City Thunder.” Well here I am writing a third post in the series. 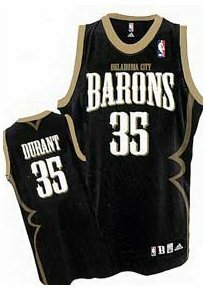 I felt inclined to do this when I learned that this Oklahoma City Thunder team, was originally going to be called The Oklahoma City Barons. I actually already knew this, and I also knew that there were multiple other names that were possible candidates for the team. What I didn’t know however is how different the uniforms would have looked. Tell me which jersey you think looks better in the below poll. 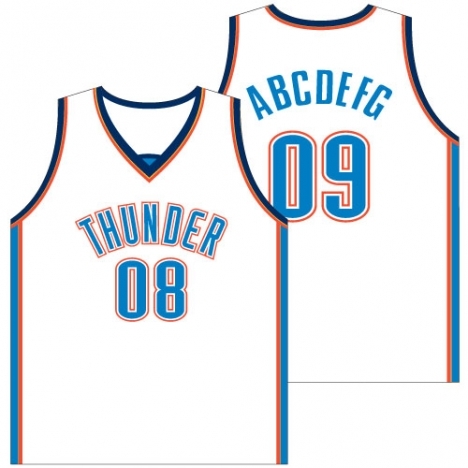 I personally don’t think the jerseys are quite as bad as the logo, but they’re still very bland. I want some originality from a team in this situation. But we can’t always get what we want. 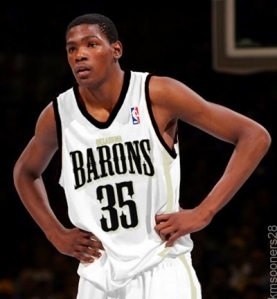 I guess it won’t be too long before we see how Kevin Durant and company look in their new uniforms. 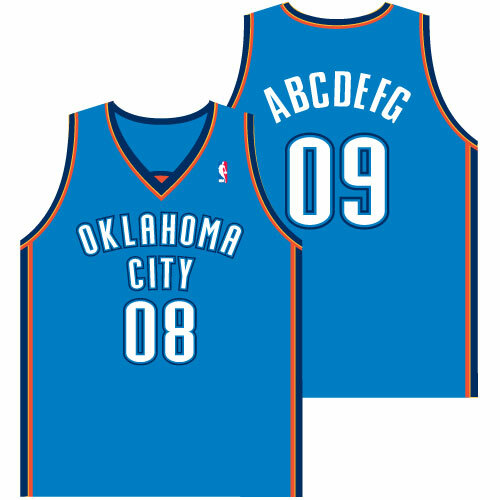 Here’s a look at the away jerseys which are signigicantly worse in my opinion. That is just pathetic. What is this? A jersey from a Salvation Army league? I certainly won’t be buying one. If you disagree with me please feel free to share your opinions in a comment in case there’s something that you see that I’m missing here. I’ve certainly never claimed to have an eye for fashion or art of any kind, so let me know what you think.